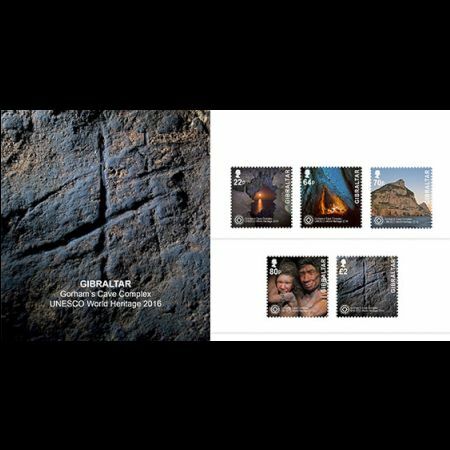 Gibraltar 2016 "UNESCO Gorham's Cave Complex"
Gibraltar’s Gorham’s Cave has been granted World Heritage status. 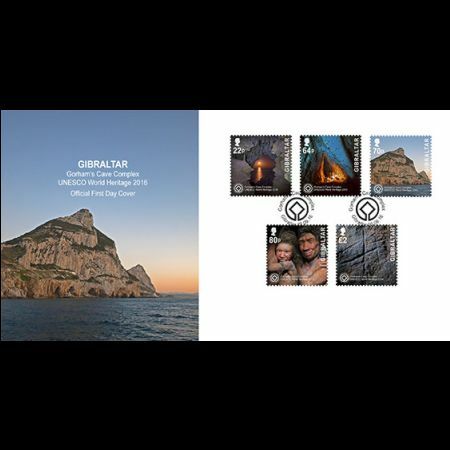 To mark such an achievement Post of Gibraltaer issued a set of 5 commemorative stamps which has been developed in very close cooperation with the The Gibraltar Museum. 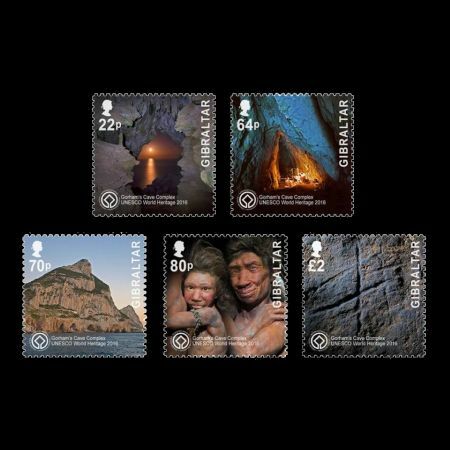 Related stamps: The are many other stamps of the Cave and Neanderthals are issued in Gibraltar in the past. Click here to see it.